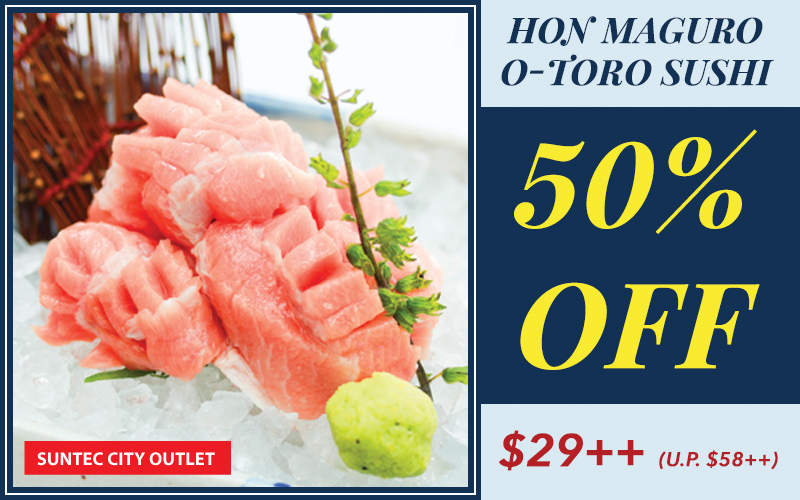 3rd Anniversary Special - 50% Off Hon Maguro O-toro Sashimi! Celebrate Maguro Donya 3 Years Anniversary!! Maguro Donya is turning 3! Thank you everyone for making this happen! 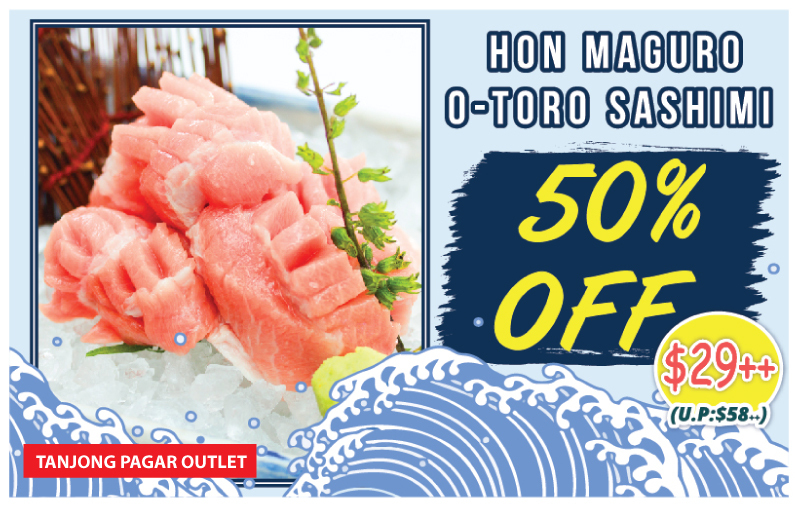 We are giving 50% Off super fatty Hon Maguro O-toro Sashimi for YOU! 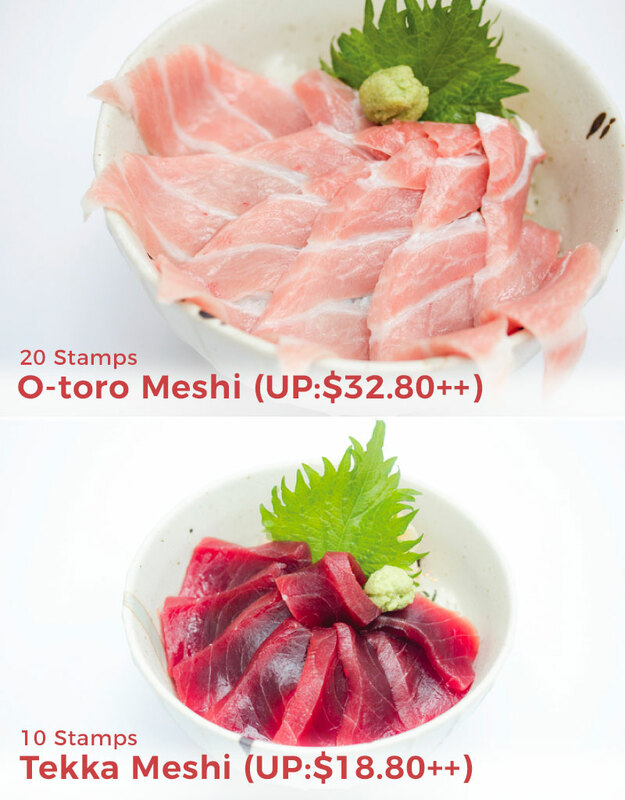 If you don't know, O-toro is the most precious cut of extra fatty Maguro Sashimi, marbled with luxurious fat! We have came a long way, read on to know about our history! Also known as Maguro Donya Miura Misakikou まぐろ問屋 三浦三崎港. 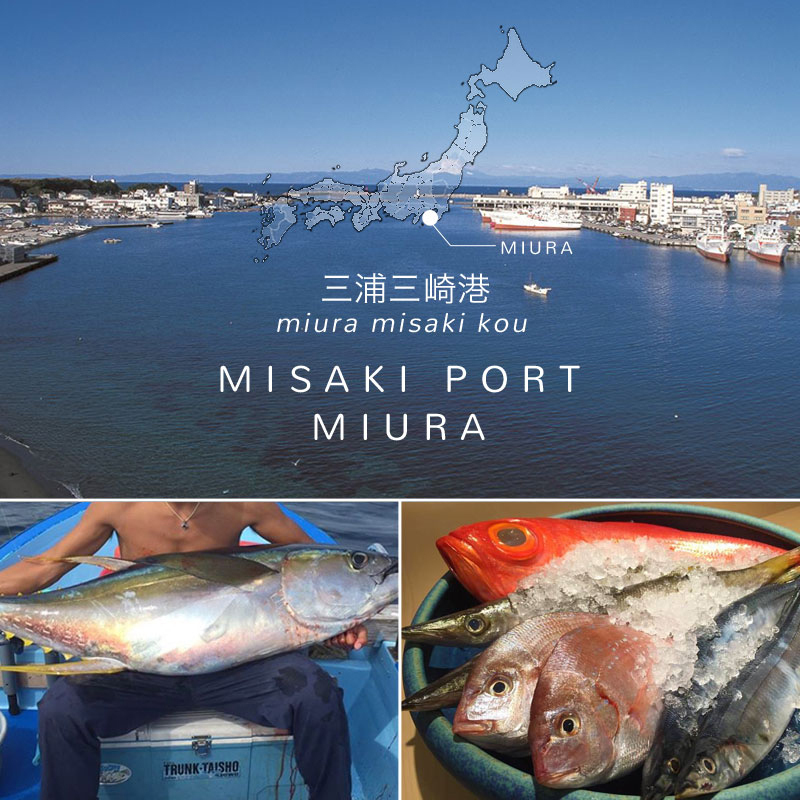 serves fresh Maguro (tuna) & seafood dishes daily, directly flown from Misaki Port, Japan. Get fresh Sashimi with Maguro Donya! 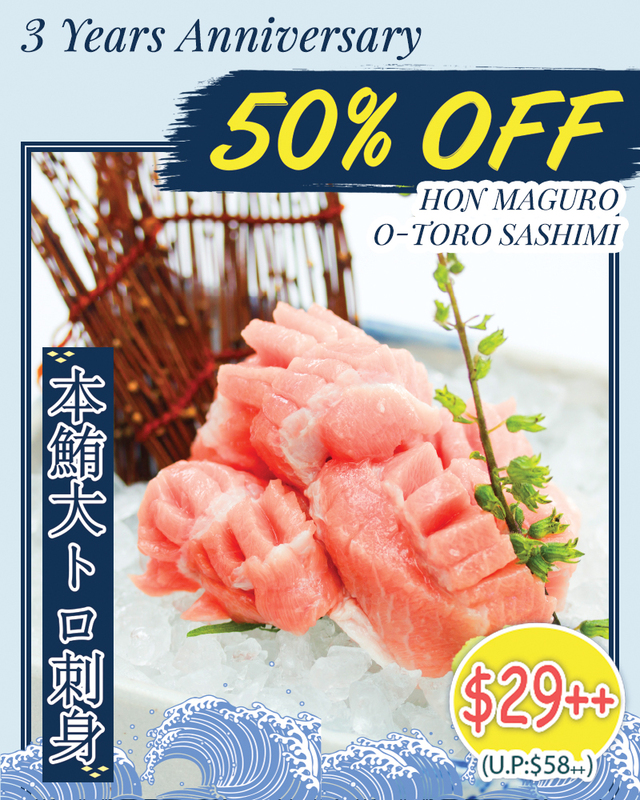 To celebrate 3rd Year Anniversary, enjoy 50% Off Hon Maguro O-toro Sashimi at $29++ (U.P. $58++) now! 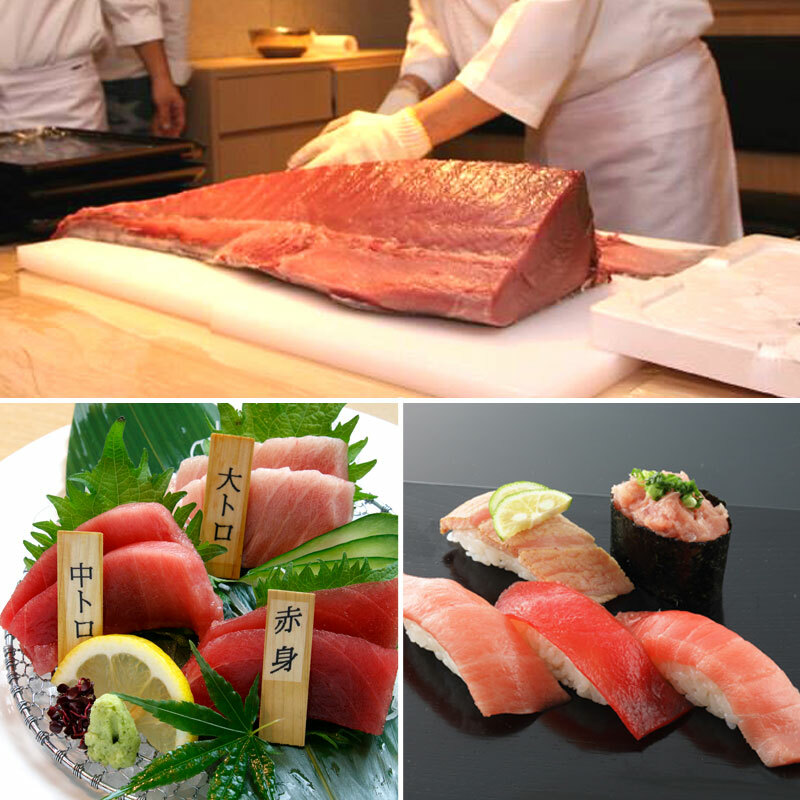 Enjoy a wide variety of dishes based on maguro and fresh seafood, only at Maguro Donya! 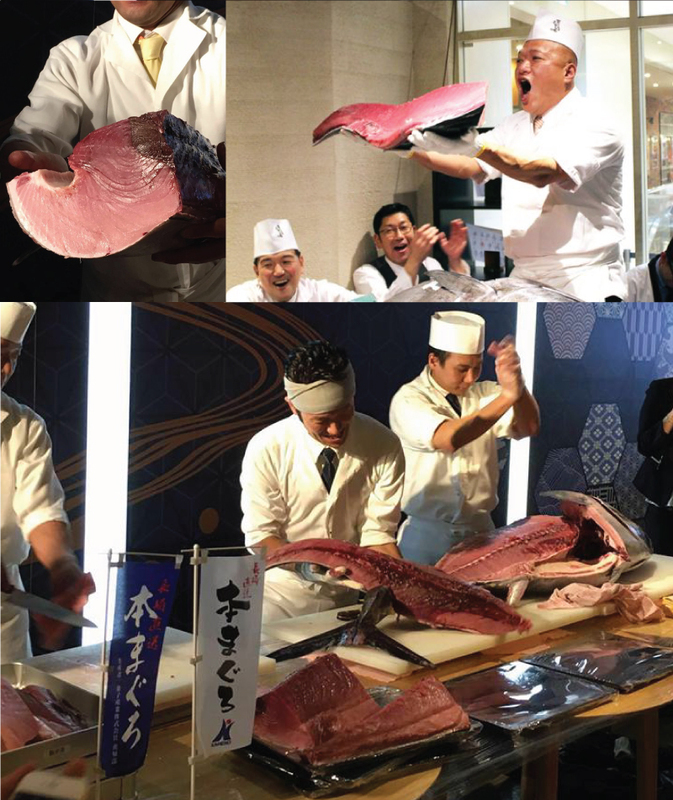 As the pioneer in Maguro (tuna) wholesale from Japan , Maguro Donya serves fresh Maguro and seafood dishes daily, directly flown from Misaki Port, Japan! 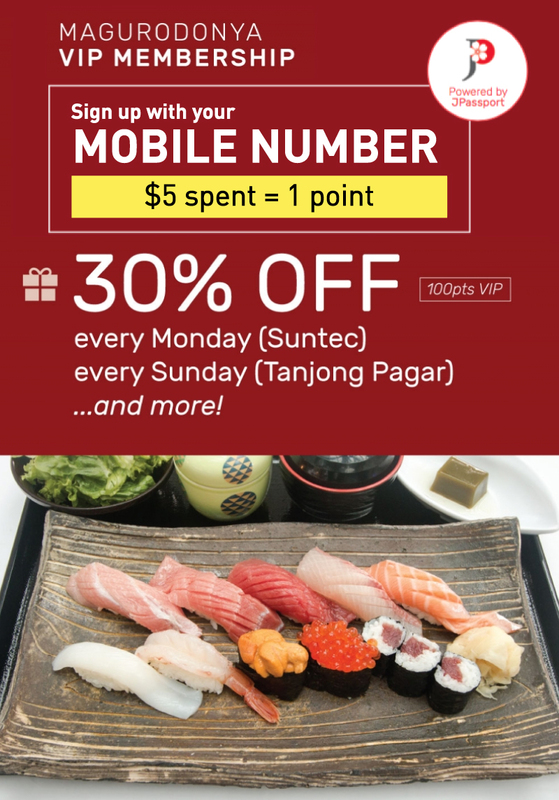 You can enjoy more worthy deals at Kuro Maguro! 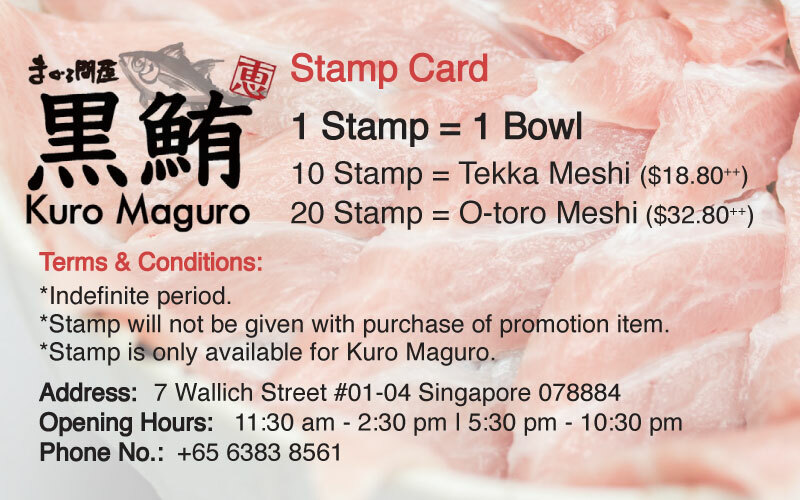 Collect stamps and get Free Meals at Kuro Maguro! Maguro Donya is honored to be featured in the Michelin Guide! Collect Points & Enjoy Rewards! You can also collect J POINT at Maguro-Donya! 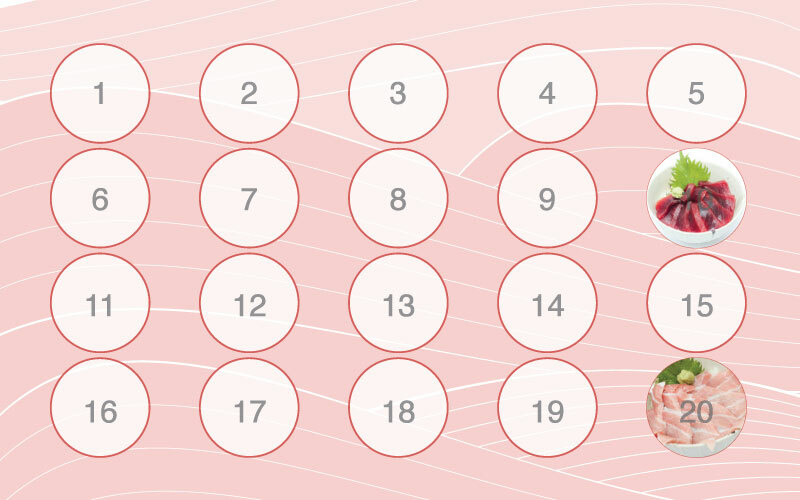 Collect points and get VIP privileges and rewards!